Snrky: It's hard out there for a VP. It's hard out there for a VP. 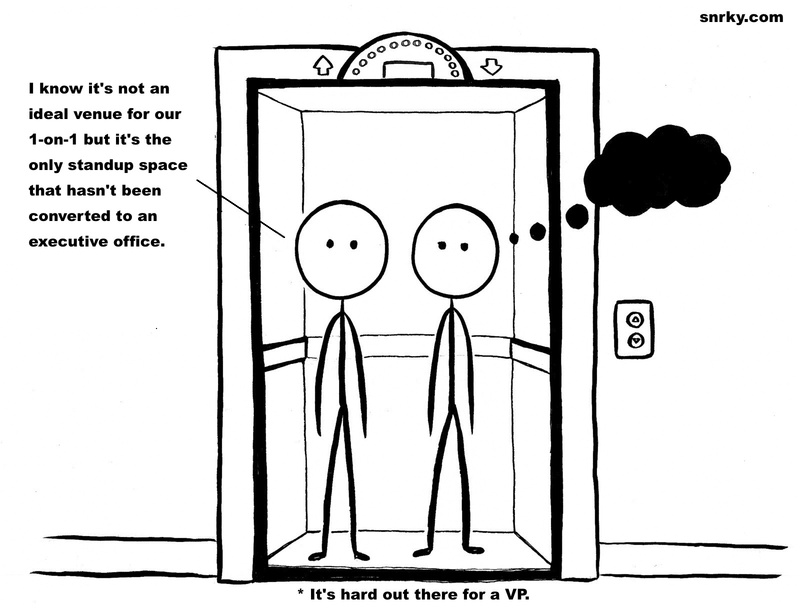 Given the seemingly constant re-arranging of office space that happens in large organizations, it's a little surprising that the some clever higher-up hasn't floated the idea of using spaces that are generally ignored to be re/multi-purposed in the name of space efficiency. 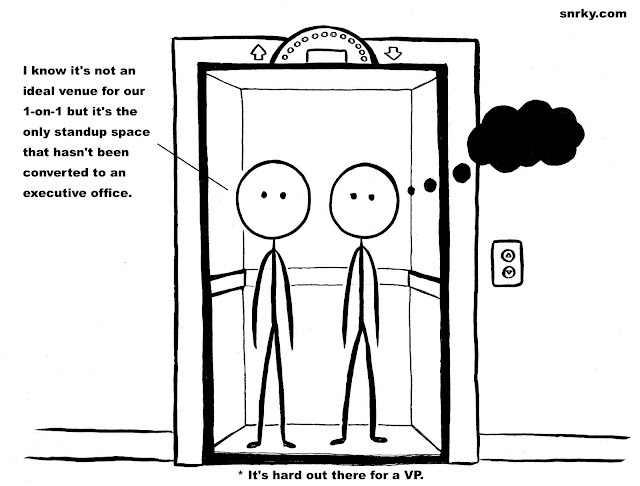 Or maybe said higher-up has thought about it and realized that the elevator is simply too fraught with the possibility of causing psychological trauma (via simthsonianmag.com) and done us all a favor and continued to ignore it. Title: I know it's not an ideal venue for our 1-on-1 but it's the only standup space that hasn't been converted to an executive office. Snarky: It's hard out there for a VP.